Track was at Breton's Farm Raceway, South Hornchurch, Essex. Club Secretary: Mrs B. Craggs 41 Essex Road, Romford, Essex. 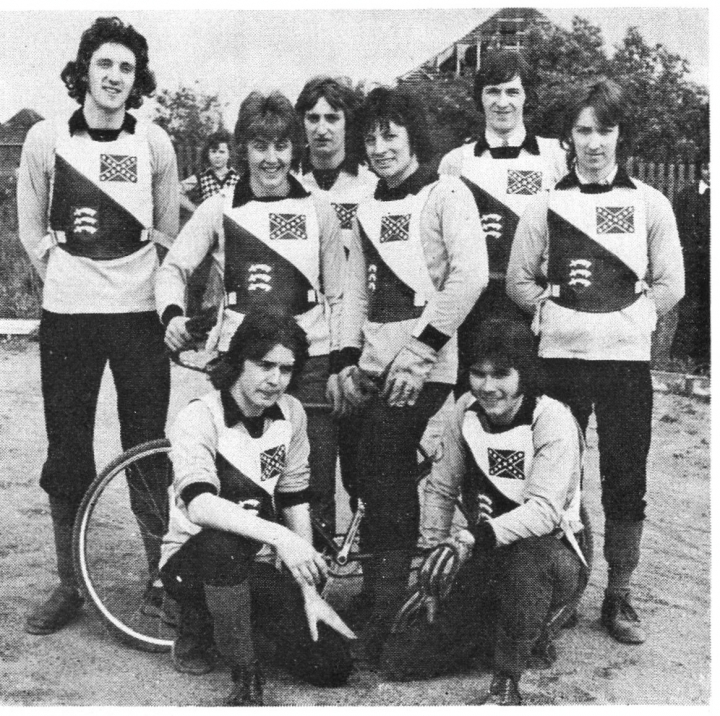 In 1975 the first team known as Romford Bombers changed their name to the Rebels, with the new Race Jackets. The second team retained the name of the Bombers. The change was caused by confusion with the former Romford Bombers Speedway Team. Became the Newham Rebels in 1977.